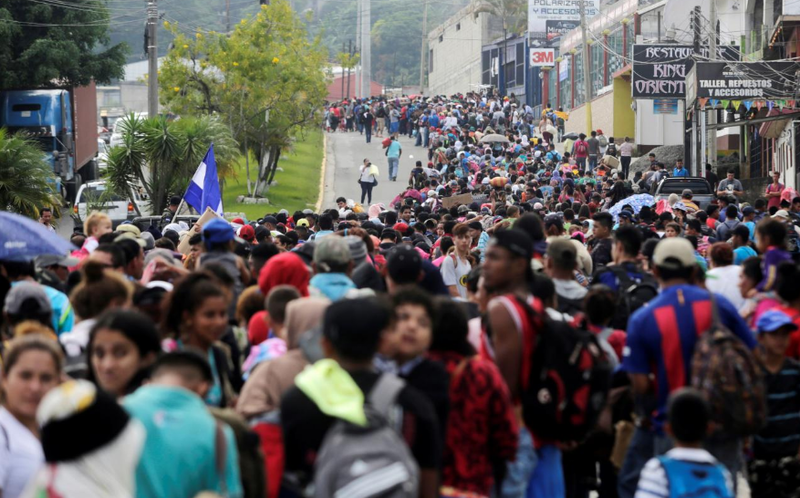 Whomever thought that the Supreme Court battle would be the theme of this year’s Midterm elections might be wrong as Immigration is possibly set to take centre stage once again in the following days now that another ‘Caravan’ of immigrants is headed for the United States border, this time from Honduras. VP Pence met with Honduran President Mr Juan Orlando Hernandez, President Mr Jimmy Morales of Guatemala and Vice President Mr Oscar Ortiz of El Salvador, asking all three countries to step up and help combat illegal immigration in return for help from the US at the Conference for Prosperity and Security in Central America. Mr Pence told them: "If you do more, I'm here to say on behalf of the president of the United States and the American people, we'll do more." After leaving the town San Pedro Sula in northern Honduras this weekend, the group plans to march through Guatemala and into Mexico. From there, participants will request refugee status, which would allow them to stay in the country, or they will apply for a visa to pass through into the US. In May of this year, a similar immigration ‘caravan’ marched to the US in a group of thousands of people. Several hundreds of them entered the US illegally via California. Now who could have organized this just before the midterms? I smell the Dems and their number one financial supporter, George Soros. No mas espacio aqui! Regresa ahora! mexico is giving these P'sos temporary citizenship to help them get to the USA. put economic sanctions on Mexico & Honduras. if that doesn't get their attention, invade their shitholes and kill them all. some of these folks are FAT. so much for their 'hard life' BS stories.